It’s a strange time to be in Australia. Currently there’s a lot of looking to England under the fresh expression brand. A few years ago it was emerging with Brian McLaren. Before that it was Forge. Alternative, emerging, fresh in Australia – yes the words mean many different things to many different people. Brands. Do they create identity? Or do they provide something for groups to push, or be pushed, against. As I said, strange times. Anyhow, there doesn’t seem to be any sort of online list of “alternative, emerging, fresh” communities in Australia. So in order to try and provide some sort of database, Cheryl Lawrie has set up a Alternative forms of worship and community in Australia website. Basically a wiki and an invitation to any and all groups who feel they are – alternative, emerging, fresh – to both put up, and update as necessary, their details. Putting legs on the local, held on Saturday, went really well. About 25 folk, gathered around input from multiple voices, networking, food, worship, interaction. One person drove 6 hours from the Eyre Peninsula to be there (it’s Australia! ), other’s drove two hours from Murray Bridge or an hour from Strathalybn. Here in South Australia as a Uniting Church, we’ve had a fair few overseas folk talk to us about fresh expressions and new forms of church. It’s one thing to hear from overseas, it’s another to have a genuinely local conversation. So Putting Legs on the local was an attempt to gather around an ongoing local conversation. The concept was to some extent based around the UK Fresh expressions vision days but it needed to have a local South Australian flavour. The day kicked off with an hour introducing concepts and thinking around fresh expressions. This included the Who? What? Where? When? Why? How? 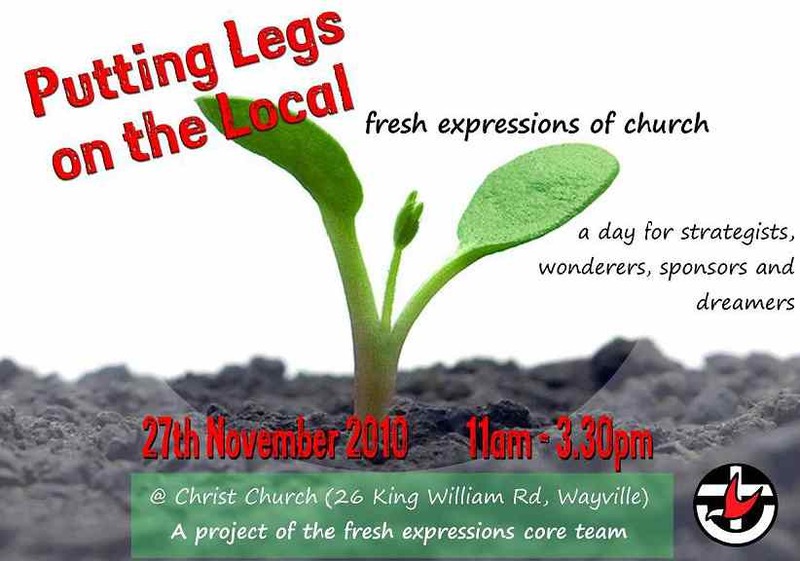 of Fresh Expressions and what fresh expressions mean in light of Uniting Church. We then broke for lunch, which was based around the invitation to all participants to bring local produce to share. This was a stunning success, with all sorts of creative local flavours being brought and shared. Free range eggs, olives from the backyard, citrus tarts from the neighbours tree, donuts from local bakeries. A tasty reminder of the value and diversity of being local. We then listened to three local fresh expressions tell their story. Esther project, using story and alternative worship to engage the arts community. Again, a wonderful reminder that there is some fine local produce, which is so easily overlooked when the overseas guru comes visiting. Again a reminder of the uniqueness that is fresh expressions, of the ups and downs, of the importance of experimentation and being open to change. This was followed by time in groups, exploring what we’d heard. Three types of conversation – the stakeholders, the dreamers, the doers – talked about what they needed to flourish and what they’d like to say to each other in light of fresh expressions. Getting back to share once again we were nourished by the reminder of the diversity that is in the body of Christ and the need for us to value the vital roles of different folk. We then finished in worship, led by a 4th local fresh expressions. Candelit Reflections had created a beautiful space and offered music, reflection and meditation and it was a fitting reminder, once again, of the richness that is local. Plenty more to do, but Saturday was a enjoyable beginning. My task this weekend including needing to explain (twice, once in seminar, once in sermon) fresh expressions in 25 minutes. 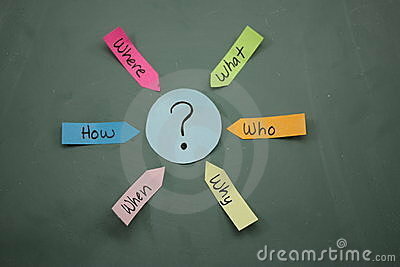 I decided to use journalism’s Five Ws as a frame. To give some Biblical grounding, I used Luke 10. So here is a Who? What? Where? When? Why? How? of Fresh expressions, using Luke 10:1-11. •	What? Fresh expressions began. 36 gatherings of people around Kingdom story and Kingdom activity. •	When? A long time ago. And through church history. And it continues today. 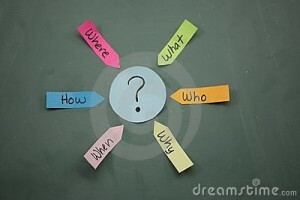 •	Why? Because of missio Dei: “It’s not the church of God that has a mission, but the God of mission who has a church”. So there you are, my take on Who? What? Where? When? Why? How? of Fresh expressions. What would you do if you were a visitor, being paid (loads of) money to entertain the masses on what turns out to be a day of national mourning? U2′s Bono said the band felt privileged to be here especially at a time when hearts were aching and so raw. Struggling for the right words to convey his condolences for the people of Greymouth, he said: “People deal with grief in all sorts of ways. In Ireland, we sing”. Bono then launched into “I still haven’t found what I’m looking for”. The names of the 29 mining victims scrolled across the screen as the band played “One Tree Hill”, a song penned for New Zealander Greg Carroll who was the band’s roadie. I wasn’t there (my turn Wednesday in Melbourne), and I’d love to hear from those who were at the concert as to how this came across, and what else – visuals, lighting, performance – were added in (You can’t reduce a U2 show to just lyrics and words on a screen). U2 and public lament is nothing new. Here is what I wrote in regard to their playing in New York so soon after 9/11. 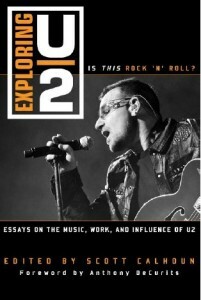 (It is part of a chapter in a book on U2 due for publication next year). a live concert, and most particularly, a U2 concert, is one of few “public space experience” left in our culture. (Installation Art in the New Millennium: The Empire of the Senses , 29.) This is especially so in relation to the 3rd leg of the Elevation Tour, which was played immediately following 9/11 and the Slane Castle concert. Parra noted: “Before the start of leg three, fans had speculated whether U2 would be playing Bullet the Blue Sky again in post- 9/11 America.” (Parra, U2 Live , 259) Can the world-changing events of 9/11 change a song? While “Bullet the Blue Sky” did not appear in the first concert at South Bend, Indiana, from then on, “things [were to] return to a more familiar order. Bullet is back in the set, but the images of guns and war are no longer projected on the screens. Instead there are more abstract pictures, distortion and ‘snow’.”(Parra, U2 Live , 259) With specific reference to this notion of “communal memory”, Parra summarized this leg of the tour: “What their audience seem to want right now is a sense of community, of togetherness, which is something the band have always been good at delivering – and has been at the core of the Elevation Tour since its conception.” (Parra, U2 Live , 258) With careful attention to sampling, in this case video sampling, a song can change and a public space can be humanized. U2 took incredible live performance risks on this leg, Again we see the use of samples – including scrolling the names of those killed in 9/11 on video screens and inviting on stage New York firemen. Again we see the use of visual and theatrical samples in the creation of public space through the humanizing of communal memory. Many similarities between the way U2 publicly process lament in the Elevation tour and now in 2010 after the Pike River Mines. The use of names, the taking of risks, the willingness to lament in public space and engage communal memory. And then I checked the back and a whole lot of things clicked in my head. 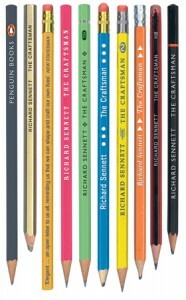 The book explores craftsmanship, the desire to do a job well, for it’s own sake and suggests this as a template for living. Which got me thinking about what gets me out of bed and how I approach work. When I mark an essay, it can be a burden. But could it be something to craft – through the assignments I set, the comments I make, the best practice examples I provide, the clarity of my responses. When I teach, it can be stress of preparation. Or it can be the entering of sacred space, those moments of learning that will be unique to this moment and this group. 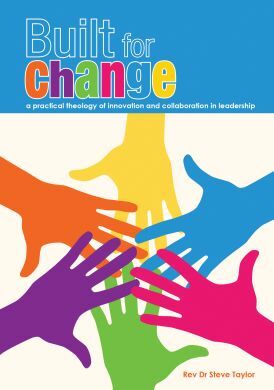 When I seek to innovate within academic structures, to implement new pioneer ministry/social entrepreneurial training options (details any day now) or to create a missional masters , it can be the drudgery of administration, or search for clarity around best practice. When I meet with a post-graduate student, it can be an appointment. Or an attempt to craft a unique learning experience, to co-operate with what God has already been doing in a person’s life, the discernment of discipleship as God’s spirit shapes and moulds. When I start researching, it is a craft honed by others into which I enter. As I write, it is a deadline. Or the time to bring vague thoughts into communicative life through the craft of concrete black and white shapes, to hone the tools of grammar and punctuation to make plain my flights of fancy. Theologically, this links with Robert Banks book, God the Worker: Journeys Into the Mind, Heart and Imagination of God . He suggests that God is a musician and a composer, a designer and a garment maker, an architect and builder, a crafter and an artisan. (I’ve been part of writing more on this here). And humans are made in the image of God the Crafter. To be honest, the workload this year has at times nearly consumed me. New job, new responsibilities, new culture – so many adjustments. It’s been too easy to view work as draining. Work as craft. It provides a different way to approach the day and the desk, the week and the workload. I’ve been enjoying the Gruen Transfer, a snappy, attractive reflection on contemporary advertising. 290 pages, colour pictures. It describes itself as a textbook on advertising, an encyclopedia on advertising and an exploration of the art and science of persuasion. 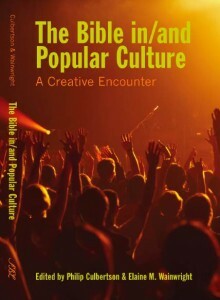 It will become a compulsory textbook in my B.Min Reading Cultures topic. Amidst reflection on everything from how they sell us toothpaste to underwear, it also analyses how Christians sell Jesus. Yep, pages 77-80, cover the 2009 Jesus: All About Life campaign. Given that over 1500 churches in New South Wales splashed more than a million dollars on this, it’s great to have some reflection on it’s ability, or otherwise, to persuade. So what do the advertising experts say of the campaign? So there’s some mission wisdom from the advertising industry. Stop trying to make Jesus relevant. Get on with living the Jesus life to the full (John 10:10)! Which, interestingly, will be an upcoming theme of the Uniting church of Australia! What is a fresh expression? How do they emerge? What is the role of sponsors? How do we help the dreamers? How do we support fresh expressions well? What is happening on the ground in South Australia? We’ll be grappling with these questions and more at this Fresh Expressions tasting day, designed to stimulate discussion and action. 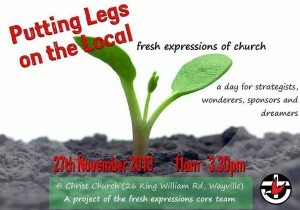 The day will include 3 “fresh expressions of mission” telling their story, their struggles, their learnings. We will talk in groups about best practice – how best to support a fresh expression, how best to dream a fresh expression. Battling away today on a “theological” film review of Harry Potter and the Deathly Hallows Part 1, reminded me that I have failed to post my November film review, of the movie Eat, Pray, Love, (for Touchstone New Zealand Methodist magazine.) It has probably my most provocative opening sentence in a while. I’m a serious scholar. I realised this yesterday as the copyright and contract paperwork arrived for my work on U2 (the evolving live performance of Bullet the Blue Sky). 6,000 words, 66 footnotes due to be published with Scarecrow Press next year. 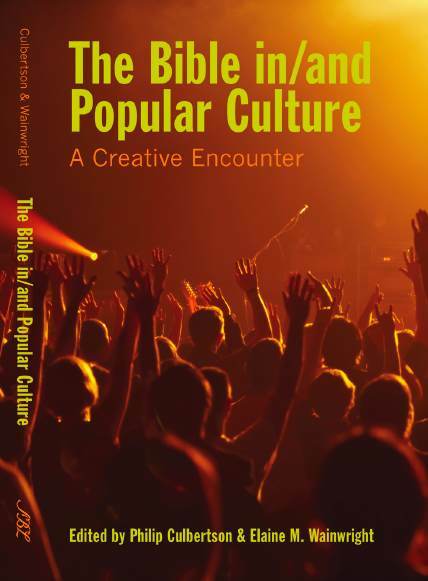 And I’m checking the mail everyday at the moment, waiting for my authors copy of The Bible in/of Popular culture, with my work on Kiwi cartoon, Brotown. And this week I’ve had some really encouraging feedback on a 1500 word piece I submitted to Australian Leadership on young adult spirituality, with a focus on comedian John Sarfran and video art in the Blake Prize. It was no ordinary “theology” class. First, we were outside. Second, we had smoke from an open fire drifting across our seats. Third, the venue was Colebrook Blackwood Reconciliation Park. In 1952, the Uniting Aboriginal Mission opened up a home for Aborginal children. It became part of the sad saga that is the stolen generation, in which state and mission colluded in removing Aboriginal children from their homes. The home closed in 1973, but the memories linger and lives remain damaged. In 1994, a community group began to meet. Stories were told. Relationships formed. Education began. A memorial was created. The group continues today. I teach a course on Missional Leadership, in which participants at the beginning of the course choose a “table.” It can be inside or outside the church. At this table they have to relate and listen. They have two major projects during the class. The first is to name what they are hearing as they listen. The second is to envision a mission action project, what might happen in response to their listening and in light of an appropriate Kingdom imagination. 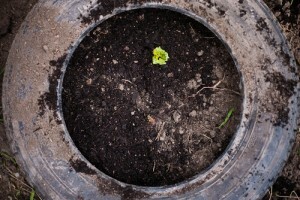 The hope is that through this process they develop as change agent leaders, for the sake of the world. With the year ending, it seemed appropriate to meet not in a lecture room, but at a “table.” One of the class had chosen Colebrook Blackwood Reconciliation Park, because they are part of the community group. And so no ordinary “theology” class began. Outside. Smoke drifting across. Cradling cups of tea. And a fantastic conversation – about what is mission, about the place of truth-telling, with stories of healing, about public theology as local action, about mission today as sitting with the mission mistakes of the past, of an appreciation of mission-as-reconciliation, which is central to the Uniting Church Basis of Union. About Luke 10:1-12 and how it continues to live in everyday practice. It is amazing how far a group can travel in a year. 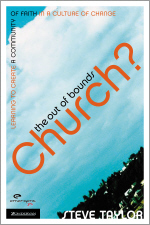 It is so richly accessible when theology emerges in and around local practice and not simply from text books. This is fascinating example of spirit2g, of offering spiritual takeaways. 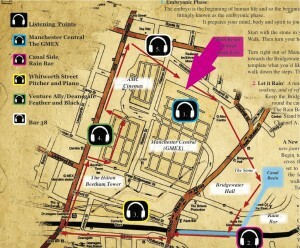 From the creative, missional mind of Ben Edson, (who planted Sanctus, a Fresh Expression in Manchester) it’s linked with the Manchester Mind Body Spirit Fair and involves six locations around the city centre broadcasting six meditations. 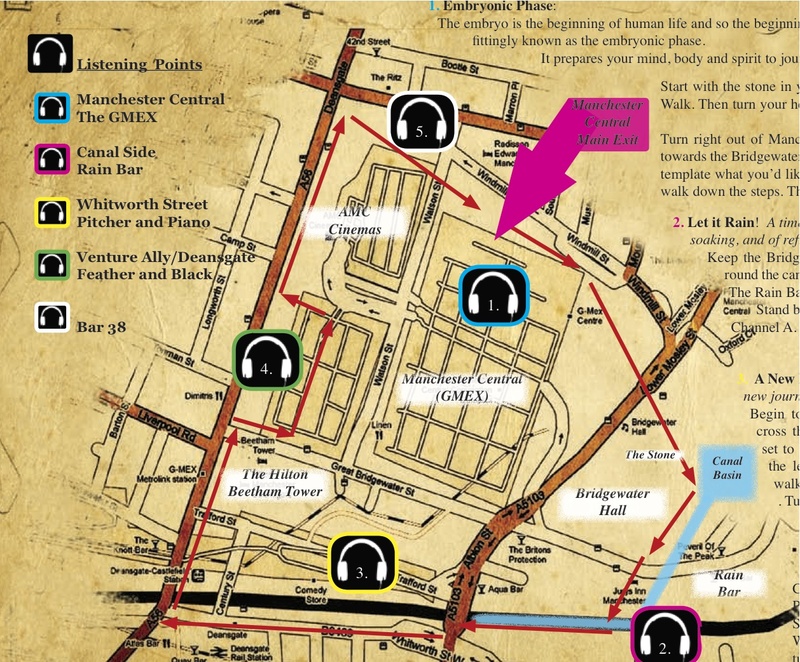 Participants collect a set of headphones and a map from the ‘Spirit of Life’ stand and then go on a 30 minute pilgrimage interacting with the urban environment, opening themselves to glimmers of the Divine. I love how it’s urban and outdoors. I love how it lets the person set the pace. I love the tactility of it. All I’d want to add is some way for people to engage and enter conversation. Perhaps this happens as the headsets are returned. An intriguing thought occurred as I read And You Welcomed Me: A Sourcebook on Hospitality in Early Christianity . It is an fascinating book, as it collects early Christian writings on hospitality. Diaries, letters, instructions, sermons, travelogues, community records, all grouped together. I love that mix of ancient paper, of historic wisdom, helpfully tied together with concise summaries. 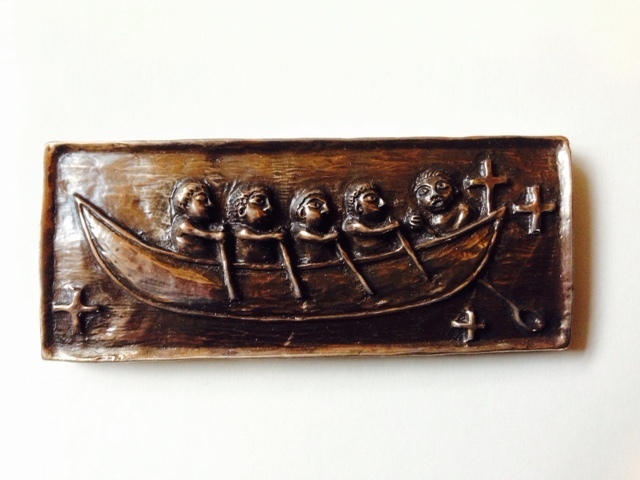 It looks as roles – the development of bishops responsible for administering hospitality and buildings – lodging places for pilgrims, hospices; hospitals; almhousese “whose missions focused on hospitality, emerge as dominant forces by the early fifth century.” (215). It was that sentence that made me sit upright. Earlier, the book had argued that Christian life must be rooted in otherness and that hospitality was a key way to understand one’s own marginal position. In other words, as you practise hospitality you are being formed spiritually in what it means to care not for yourself but for others, on what it means to be vulnerable. This is what excites me about cultural change. There is the tasks of dreaming, and then of generating, and finally of forming institutions that mark the changes. These were hospitals in the 4th century. And job descriptions for leaders that include mission (as I blogged about here). And in the twenty-first century? For me, they include the Fresh expressions movement, or the new Missional Masters degree here at Uniting College, or the change of structures so that Uniting College has a missiology stream. Some mates are web-journalling their guerrilla garden attempts in Christchurch. Currently the virtual looks much more impressive than the real, but knowing the rainfall of Christchurch and the power of spuds and rhubarb, I’m sure it will change. Here in Adelaide there is even more interest in fresh food and local produce than in Christchurch. What about a fresh expression that met on Saturday while the Central Market was open, and used stations – of thanks, of fair trade justice, of community – that the thousands who attend the market could engage?